There truly are wonders in this world, and great ideas so large and sweeping that to meet them is to become transformed. I am grateful to have enjoyed a transformative two days spent with great thinkers and big ideas this month, at the Foundations of Mind Cognition and Consciousness conference in Berkeley. "Our view of the mind not only shapes our view of ourselves; less obviously, it also shapes our view of that part of our experience we conceive of as dealing with the external world. As we learn about the structure of this aspect of experience, we find that the world presents itself to consciousness only after being mediated to lesser or (more often) greater extents by mental structures and processes." "There is nothing but evidence, but it is evident in the inner world, and requires a special attitude of humility, wish for truth, and a sense of the sacred." Needleman continued that this is a kind of inner empiricism, and results will come! There are great benefits from recognizing that "consciousness is a vast, vertical realm," so we may ask ourselves which level we need to be as scientists in order to study consciousness. Feeling is an instrument of knowing, and "in moments of pure presence, we are who we wish most to be." Needleman pointed out that "We need a movement of the heart to study consciousness,” adding, "Only a virtuous human being can know reality." Keynote speaker Father Robert Spitzer raised the questions of whether the knower can be any less than what is known, and how we can even see a limit to consciousness. Spitzer elaborated, "Consciousness has no intrinsic boundaries," after reviewing some truly mind-boggling examples of fine-tuning of universal constants, such as the low entropy present at the time of the Big Bang being on the order of ten to the power of ten to the power of one hundred twenty five. There are numerous examples in our universe of constants being set in the optimal range for our form of human life to flourish, to the point that such a perfect arrangement is statistically highly unlikely to have occurred by pure random chance. Conference chair Seán Ó Nualláin invited us to consider the way we reconstruct the world with intentionality, and how there is something very interesting indeed about what might be called the "unreasonable effectiveness" of mathematics in comprehending the physical sciences to such a degree that one begins to wonder if an understanding of math itself just might be another fine-tuning mechanism. I enjoyed listening to many thought-provoking talks from linguists, neuroscientists, physicists and philosophers including: Robert Campbell, Walter Freeman, Len Talmy, Ellen Thompson, James Blackmon, Mike Cifone, Matt Langione, Jack DuVall, Jerome Feldman, Ed Vul, Kathryn Blackmond Laskey, Sperry Andrews, Justin Riddle, Bernard Haisch, Vittorio Tanucci, Tony Bell, Jose Acacio de Barros, and Carlos Montemayor. 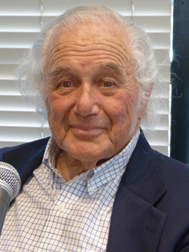 Physicist Henry Stapp presented a delightfully fresh new perspective on the Quantum Zeno Effect, which inspired a great deal of discussion at the conference and which will likely continue to generate further thought and discussion for some time to come. I presented a talk entitled Evidence of Macroscopic Quantum Behavior and Conscious Reality Selection in a Holographic Multiverse, which was well received. The words that resonated deep inside me with bell-like clarity weeks after the conference was over were those of Jacob Needleman, as he reminds us of the importance of "... a special attitude of humility, wish for truth, and a sense of the sacred" in order to even be able to observe and comprehend the deepest truths about consciousness otherwise kept hidden from human eyes and minds. For me, these words validate the work I do, assisting people to live authentic lives of inner harmony and balance. I will be making public appearances in California this month, and I would love to see you if you can make it to one of my upcoming events! And if time or distance prove to be a challenge, I hope you can enjoy one of my recent interviews! Tonyehn asks seven questions that get to the heart of what Quantum Jumps are all about. Gain practical tools to achieve real change in your life, and leap forward to become happier and more prosperous, living the life of your dreams. Join Cynthia in exploring the place where science comes together with inspiration and imagination, asking "How good can it get?!" Cynthia Sue Larson talks with Cathy Bilsky about QUANTUM JUMPS on the Quantum Leap show with host, Cathy Bilsky. This special two hour interview can provide much more information than is typically possible in shorter interview segments about the science, history, and first-hand experiences of people who have made quantum jumps to instantaneously transform their lives. This is one show you won’t want to miss! Cynthia Sue Larson presents a radical new scientific paradigm of QUANTUM JUMPS: that we exist in an interconnected holographic multiverse in which we literally jump from one parallel universe to another. In a moment you can be: smarter, happier, in better relationships, more outgoing, more effective, more confident, with more willpower. We now know that 'quantum' is no longer limited to the invisible, subatomic realm, but involves our everyday world. In this exciting conversation, we'll be exploring the scientific mechanism behind synchronicity, the power of the placebo effect, and remarkably simple yet powerful exercises you can do that will help you make wiser decisions, relate better to others, and enjoy a happier, more prosperous life. Cynthia Sue Larson talks with Conscious Living host Wendy Garrett about how it feels to awaken to an entirely new awareness of reality through QUANTUM JUMPS. Get a fresh perspective on the scientific and metaphysical meaning of these leaps between parallel universes of possibility, and what you can do to improve the choices and decisions you make that have the power to radically and instantaneously transform your life when you tune in for this show! 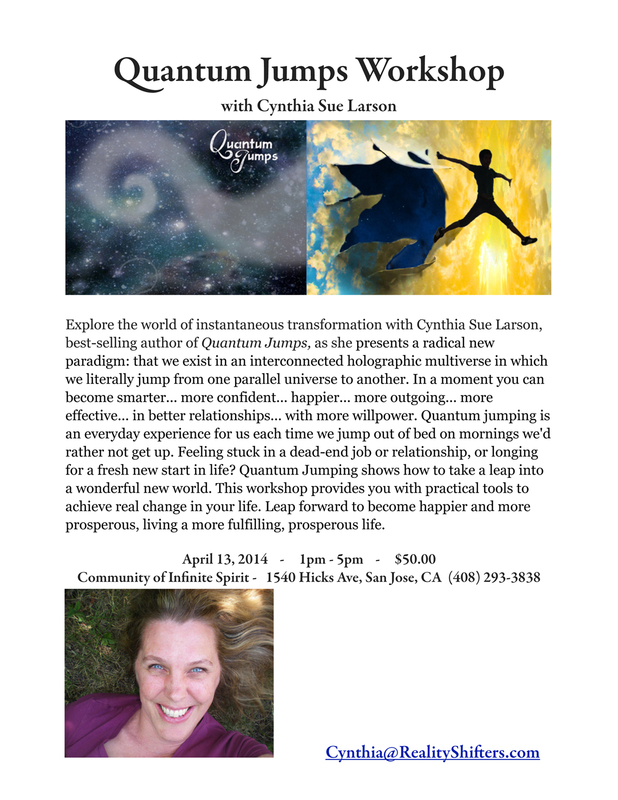 I would love you to come hear me present a fascinating overview of the science and practice of QUANTUM JUMPS for the San Jose chapter of the American Society of Dowsers! Learn how you can literally jump into new worlds of possibility in which you are happier, more confident, have more willpower, and enjoy better relationships. At this historic time when macroscopic quantum phenomena are being recognized as happening in wet, noisy environments such as photosynthesizing plants, scientists from an increasingly diverse body of interdisciplinary studies are finding ways we can benefit from making quantum jumps. I hope you can spend a day with me in San Jose, California in mid-April, as I present the framework and inner workings of a radical new paradigm: that we exist in an interconnected holographic multiverse in which we literally jump from one parallel universe to another. In a moment you can become smarter... more confident... happier... more outgoing... more effective... in better relationships... with more willpower. Quantum jumping is an everyday experience for us each time we jump out of bed on mornings we'd rather not get up. Feeling stuck in a dead-end job or relationship, or longing for a fresh new start in life? 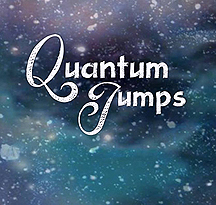 Quantum Jumping shows how to take a leap into a wonderful new world. This workshop provides you with practical tools to achieve real change in your life. Leap forward to become happier and more prosperous, living a more fulfilling, prosperous life. 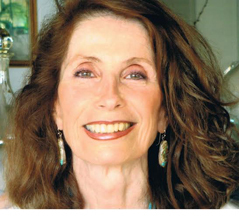 Join the fun at the San Francisco New Living Expo this April, where Cynthia Sue Larson will be one of the panelists answering questions from a reality shifting and quantum jumping perspective on the Past Lives and Near Death Experience Panel. I am honored to introduce you to two wonderfully intuitive and insightful authors in two interviews this month, who I think you will really enjoy! I took some time asking each of them some questions about their new books, and to glean some insights I thought you might also appreciate. I met Andy Myers at a time travel conference we were both attending in August 2010 in Albuquerque, New Mexico, where we had great conversations each morning at breakfast before the conference discussions began. I love meeting people at conferences where it's clear from the start that we have shared interests, since often it turns out that we have many shared interests--and this was definitely true of me and Andy. I'm so glad that I've stayed in touch with Andy these past four years, since I got to be one of the first to read his new book, Flying Paint Rollers from Heaven , and to interview him! Andy shares some excellent tips if you have felt cut off from loved ones who passed away, and wish you could be in better communication with them. 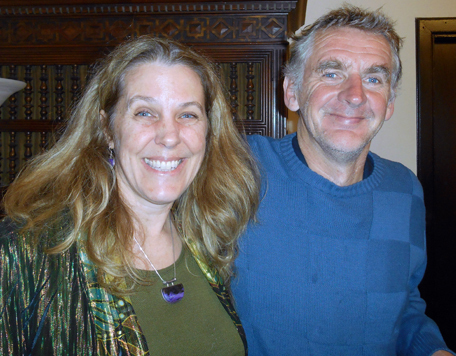 I met author Judy Gardiner in an author's group through our mutual work in the field of intuition. I was delighted to discover that we agree that our world has truly entered the Quantum Age, and that Judy cares deeply about accessing intuitive insights through dreams. In addition to our shared interest in dreams and intuition, I was pleased to discover that Judy also loves the work of physicist David Bohm, proponent of a holographic interpretation of quantum physics. Judy explained to me that she approaches dreaming as it relates to David Bohm's idea of representing an underlying cosmic unity, in which many facets of this totality of existence are actualized in the fragmentation, timelessness, interconnectedness and wholeness you experience in your dreams. The relationship of dreaming to quantum theory was inspired in Judy by her late partner and colleague, Montague Ullman, a world-renowned pioneer in dreamwork. Fortunately for all of us, Judy recognized deep meaning in her dreams, which she now graciously and eloquently shares in her beautiful book, Lavender: An Entwined Adventure in Science and Spirit. Thank you, thank you, for writing your book Reality Shifts. It's a subject that is hard to talk about without sounding like a total loon, but you pulled it off without going there. I've had several very vivid reality shifting experiences, but the one that bothers me the most is that the Moon looks different from the Moon I remember when I was a child (from earliest memories of it all the way up through my late teens). I'm 54 years old now. When I was 15, I wanted to be an astronaut and go to the moon. I had the best telescope Sears sold, and I knew what the moon looked like. I wrote NASA to find out what path I should take to become an astronaut. From their response I learned I would never be considered, because I wear glasses. This soured me on the entire idea and I gave up on my dream as well as my interest in the moon. Four years ago, due to the downturn in the economy, I had to take a job working at the Railroad and move to Arkansas (I was not happy about that). While working outside in the railroad yard late one night, I saw the moon was almost full. This was the first time in many years (not sure how long ago) that I'd paid any attention to the moon. It looked smaller than I remember and the two big dark blotches on it were gone. Now it looked more like squiggles than big blotches that I remember from years ago. Also when I was a kid a Quarter held at arm's length was about the same size as the moon (I tried this as a kid and it worked perfectly).... now a quarter is way too big and since my arm is now longer it should be the other way around. I probably was looking at the moon many times between sunset and midnight, and I'm sure the coin was a quarter held at arm's length. It was the local Weather man (in Kansas City)... He was talking about the optical illusion of how the Moon looks bigger when it is close to the horizon. He said that it really was not any bigger, just a illusion and you can prove it to yourself by holding a quarter at arm's length and compare it to the Moon and they should be about the same size. Of course I went out and tried it... and the moon was the same size as the quarter no matter how high or low it was in the sky. Now the Moon appears to be much smaller than a quarter (I'm sure in my lifetime the Moon should not have shrunk enough to tell with the naked eye any difference). And as to the pattern change on its surface.... from what I understand those are huge geological formations on the surface of the Moon... I'm sure they should not change without some huge noticeable event. I wish I had some idea as to when the change occurred, but I don't. It would be interesting to see if it corresponded with some event in my life. It's very strange that I remember vividly what the moon looked like through my teens, but have no recollection of paying any attention to what it looked liked until just the last couple of years. That's almost a 40 years span. I'm not sure when this "reality shift" occurred, but it is very disturbing. Have you heard of anyone else having this kind of shift? Note from Cynthia: Thank you for sharing your first-hand recollection of witnessing the size of the Moon shrinking over the course of your life. This type of recollection is a new one for me to hear about, and it hasn't been reported by others to me yet so far. But having said that, I also recall two large dark blotches being the most notable visible features of the Moon, which do now seem to be gone when I look at images of the Moon on an internet search, or gaze up at the Moon in the sky at night. I appreciating knowing if you recall what time of day you'd typically looked at the size of the Moon as a child, and whether you are 100% certain the coin you held up that matched its size was definitely a quarter, and not something smaller. Intriguingly, there is recent scientific evidence that in fact, the moon really has been shrinking. Just a few years ago, NASA's chief lunar scientist, Mike Wargo, reported to Astronomy Nowreporter Keith Cooper, "The cooling of the Moon's interior is causing it to shrink." He continues, "Not by a lot, but enough to change the surface." There is a network of visible-to-the-eye thrust faults on the Moon, and these faults are some of the newest visible features on the Moon. http://www.astronomynow.com/news/n1008/19moon/ Regarding the size of the Moon and how far one currently needs to hold a quarter in order to match its apparent size, this calculation is worked out to be 1.43 meters (which is 4 feet, 8 inches)--rather too far for people to hold at arm's length--on this web page: http://lcogt.net/spacebook/using-angles-describe-positions-and-apparent-sizes-objects It is interesting that you don't recall having paid much attention to the size of the Moon in the years between your teenage years and just recently in the past couple of years, some 40 years later. I'd love to know if others have similar recollections of the Moon appearing bigger previously than it does today. I have been searching the internet for information and better still forums where people are talking about real life experience with parallel universe jumping not discussing the 'possibility' of the multi-verse with not much look when I discovered a link to an interview with you. Wow, talk about a light bulb moment. It is so refreshing to find someone actually talking about this as fact and not possibility. I've ordered your book just now, and will dive into that asap. MY QUESTION is what experience do you have of seeing things that appear to be of future events? Now I may be misreading my experience so I'll explain what I mean. Though I've been noticing more and more strange little things; such as items appearing on my desk as I sit there, endings of films changing etc recently and the one that really got my attention making me look into this phenomena in a more detailed way happened when passing the construction of a local school. Construction started sometime last summer. Passing by one day in October, I was astonished that the building was completed. Now I know these things can move fast, and at the time just put it down to that. Until the next day when passing with my wife in the car it was in a state of early construction - just the beams. I explained this to my wife, and said I will write down a detailed description in a diary to prove what I have seen (now long with any other as I have noticed that sometime if I am not mindful it quickly fades from memory), sure enough the building is tang shoe now, as I described and the materials used to complete the outer shell are being laid in some areas, exactly as I remember them. I wonder had I seen some time into the future (I'm closely watching to see when it is completed so I can track how many months ahead I was) or a parallel world where things were happening on different timelines, and the school was just constructed at a different time? What is your experience of these sorts of occurrences? Note from Cynthia: Thanks so much for writing to me, and letting me know about your experience with seeing remarkable changes at a school construction site. I love that example of seeing the building fully constructed, and then back in "bare beams" mode, as this matches the kinds of "now you see it, now you don't" sorts of reality shifts I've been sharing and describing on my realityshifters web site and in my books Reality Shifts and Quantum Jumps. What you describe sounds to me like you've been moving between parallel worlds of possibility--jumping between parallel universes. When making such jumps, typically the only evidence you have is your memory of how things used to be, since all other forms of physical evidence (such as photographs) stay in the other parallel worlds. I would consider the other examples you mention such as things on your desk appearing and disappearing and movie endings changing are also examples of moving between parallel worlds in a multiverse. 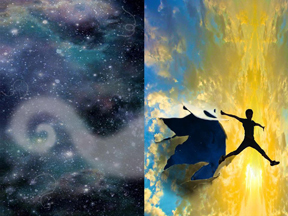 Over the past several months I was finally able to get the hang of moving into parallel worlds. It was a big dream of mine. Mostly they would happen in school. For example Windows would disappear, Windows transformed to different patterns, walls would change shape, paintings would move and lots of other stuff. Now a lot of people say, "It's always been like that," which I would expect, however there are few other people who I rarely or only time to time have contact with, they have also seen the change. However they are not a total believer in parallel worlds, which of course when they saw it they were really confused. Other people who I usually have close contact with said it's always been like that. What is your input on why that would happen? 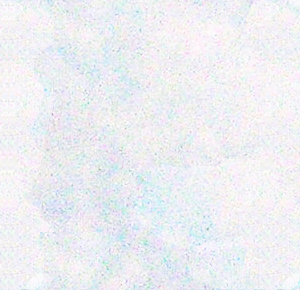 Second question, Usually for me to initiate the shift, I have to feel energetic then I would close my eyes and as soon as I choose a parallel timeline that I want to experience, instantly I would have a huge surge of energetic waves through me (like an adrenaline rush but without the increased breathing and heart rate) and that would go on for a few seconds and then I would feel a jump in vibration. Like changing frequency almost and it would feel like a considerable jump. Then I would open my eyes and 9/10 times something would be moved, transformed, added .etc. Really Exciting! Is this usually common with reality shifting? Likely the adrenaline rush? Thirdly, if I were to hold a camera, video camera, would that also change in frequency and the picture or video from the parallel world would still be on there and not synchronize with the other? Also could I somehow take another human being to the parallel world, for example put your hand on there shoulders and they would shift also or would they stay stationary? Thanks for any input you may have on this. Been wondering about it for a long time now. Note from Cynthia: Thanks so much for writing to me with these questions! I write about the way different people often have different memories of the past that are at variance with what others remember, as well as sometimes with their own hand-written journal accounts of what occurred. It's been my experience that unless a person has a worldview incorporating the possibility of reality shifts, quantum jumps, and parallel universes, they may well explain away their very different memories as something from a dream, or a lapse of memory, or confusion. I recommend to people interested in experiencing more reality shifts and quantum jumps to keep an open mind and stay current with the newest research and ideas, since we are now in the Quantum Age, and there is growing scientific evidence to suggest that we can and do experience quantum phenomena in our regular everyday lives on a macroscopic scale. We really are seeing things appear, disappear, transform and teleport. Your description of how you feel when you close your eyes during a special kind of meditation in which you feel energized and relaxed as you select a new reality... and then when you open your eyes, you see a difference--is something similar to what I've experienced, also. As you say, there is a sense of excitement, but without accelerated heart rate or faster breathing. With respect to your third question, I believe that while it may be possible to get photographs from parallel universes and bring them back, this is something I've not yet had much success with, nor have others I've heard from. What happens more often is that photographs usually are in harmony with other aspects of the universe one is in at that time. I am LaQuille and I am new at this. I have a friend who studies metaphysics and i want to know what is the best book to get to learn about everything there is to know in just one book! I would really appreciate the help if you could. The Holographic Universe by Michael Talbot. A question occurred to me: how do you keep from being diagnosed with "multiple personality syndrome?" In other words, a person focused on you in THIS world might accuse of you as displaying multiple personalities, if you consciously, within yourself, display the personal effects of dimension jumping. What an intriguing question! One thing I've noticed about making quantum jumps from one reality to another is that typically the jumps don't seem all that shocking or startling... they're usually more a matter of a natural progression or sequence of movements, much like skipping from one frame in a movie to another, cell by cell. What this tends to mean is that someone witnessing such a progression likely won't think any given quantum jump will be impossible or totally out of character. This having been said, there still may be occasions in which observers might scratch their heads in puzzled wonder, as they see someone suddenly acting as if they know a great deal about something they've not previously studied, or behaving much more confidently. Can you please teach me how to quantum jump? I read your article on reality shifters but it doesn't really go into detail. Thank you for your information and the links to your books! I have been watching some videos on your youtube channel, cool how you bring more of this topic to the world, and very uplifting! Still, I was wondering if such shift happens instantly or do these changes to that point you wish for happen over time? There are quantum jumps you can experience that can bring you noticeable evidence of working within a few moments or minutes, as described in my book, Quantum Jumps. There are scientific studies that have repeatedly demonstrated positive results for people feeling happier, more confident, having more willpower, and feeling better connected with others literally within a few minutes of doing certain things that are extremely easy to do. I call such activities "quantum jump starts" because they can give you an immediate sense of success taking some baby steps forward in whatever directions you'd most like to move with your life. I was just thinking that if I imagined Richard Bach’s story in Illusions II: The Adventures of a Reluctant Student as an anecdote in one of your books, it would go the opposite way from how he says it did. He would say something like, “Gee, I remember crashing but somehow I stepped into a better reality in which I never crashed, and here I am fine.” But what he is actually saying in his book is “Gee, I remember a safe landing in vivid detail but after that I blacked out and people tell me I crashed my small private plan, and there is even a film showing how I crashed after hitting wire high up in the air. So the safe landing I remember never happened. And I was physically a wreck for a while. But here I am fine and in fact better than fine because I learned all these things as a result of the crash, I’m healthy even though I was expected to die, I’m flying again, I’m writing again, and here’s my new book with all the wonderful stuff I learned from a near death experience after this terrible crash.” He writes about his experience with spiritual healing too—his wife was advised to give up hope, put him in a hospice. But he ultimately recovered. Bach sees himself as having essentially fantasized the safe landing but having gained from the accident. After reading your book, I asked the question: Could there have been a quantum jump--one to a better reality, a jump which unfortunately had to start off with this very unpleasant crash which led to other good things? Just a thought. Before I read the part in your book in which you talked about Solitaire cards apparently changing (seen out of the corner of your eyes), the thought had occurred to me as I played—are these cards changing on me? When I play I don’t see anything change but all of a sudden there are cards I need that I didn’t see before. If I play in an up mood I am much more likely to win, it seems, and I have a sensation of discovering “good” cards that did not seem to be there before. I am having some trouble accepting that the commonly held view of how the universe works is not accurate, even though I see the evidence. This has been a long journey for me—your books are part of it. Thanks so much for sharing your thoughts about how different Richard Bach's story looks from a quantum jumping, reality shifting point of view. His experience of having had a gentle crash landing in his airplane in an alternate history from the terrible crash that currently appears to be the case does sound like a classic example of a quantum jump--a case of his surviving the crash by having crashed more gently. I'm so glad to hear that you're keeping an open mind to seeing cards show up as you need them when you play Solitaire in different moods, observing more instances of suddenly noticing good cards being there when needed at times when you're in a happier emotional state. This is a terrific feedback tool to improve your reality shifting / quantum jumping skills! A real page-turner you won't want to put down! 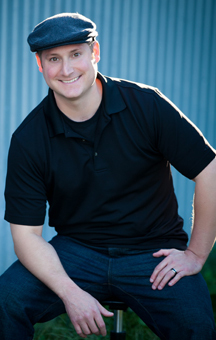 Andy Myers provides answers to the questions we'd most love the answers to. Whether describing conversations with spirits of those who've died, or how best to communicate with spirit guides, Andy's warm, down-to-Earth style puts you right at ease while delving with him into some of life's deepest mysteries, from ghosts to angels and soul mates. "Flying Paint Rollers From Heaven" offers a veritable smorgasbord of the most intriguing questions and answers from thousands of intuitive readings over the years. This is the perfect book for spiritual seekers of all ages and walks of life; it's a real page-turner you won't want to put down! Many of us know about the wonders of drinking sufficient quantities of water, yet sometimes lapse from drinking as much as we've heard is good for us. Diana Ruiz's wonderful book, "Healing Your Life with Water" provides just the right nudges to get back into healthier drinking habits. If you've heard it's important to drink several glasses of water every day, but haven't been doing so well at drinking that much, chances are pretty good that much of the reasons for that have to do with inadequate information. Diana Ruiz's highly readable book offers just the right amount of encouragement together with excellent insights regarding the ways our bodies are made of relatively few elements... and how important it is to reduce "acidic ash" in our bodies. Diana Ruiz provides summaries of up-to-the-minute scientific research written so clearly that it's easy to see how quickly our bodies can restore balance and good health. Even if you've already heard of such things as the "Grim Reaper" or "Fountain of Youth" genes, or the Standard American Diet (SAD), this book is a treasure trove of ways we can improve our health by improving out diet. Yes, this book is much more than just a book about water--it's a primer for eating a sensible alkaline diet that includes lots of fresh fruits and vegetables, as well as drinking water.... and even occasionally drinking your greens. Ruiz dispels the myth that "you have to be rich" to eat healthy foods, and provides easy-to-follow recipes and dietary suggestions that work for every budget. If you're already eating a healthy diet, you still can get a lot out of "Healing Your Life with Water" thanks to the outstanding second part of this book, cleverly titled, "Part 2: The Manual They Forgot to Give You at Birth." Ruiz explains how our thoughts and emotion have a powerful effect on our physiological health, and describes how we have a great deal more to do with our mental and emotional health than most people realize. This book about water moves into our relationships with others, with references to Emoto's book, "Messages from Water," so what starts out as a book about diet and drinking water ends up as a visionary book sharing insights about ways we can each help make this a better world.